DPI printer fusers keep your printer in optimal condition. 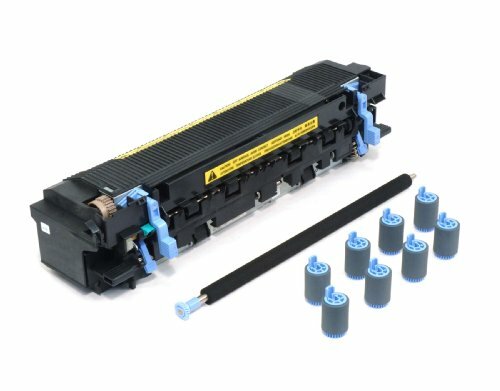 These fusers provide you the ability to perform do-it-yourself maintenance on your printer to help extend your printer's life. All of our products offer market-leading quality and OEM performance, at a significant cost savings. The entire DPI line is manufactured in state-of-the art facilities and supported by a best-in-class warranty and technical support program. This fuser is compatible with HP LaserJet 8100, 8100N, 8100DN, 8100MFP, 8150, 8150N, 8150DN, 8150HN, 8150MFP, Mopier 320. It has an expected yield of up to 350,000 pages dependent upon print environment and media used. If you have any questions about this product by DPI, contact us by completing and submitting the form below. If you are looking for a specif part number, please include it with your message.